“I was fortunate to be chosen as one of the proud delegates to represent Philippines. The summit has given me a glimpse of what social and transformative leadership is all about. 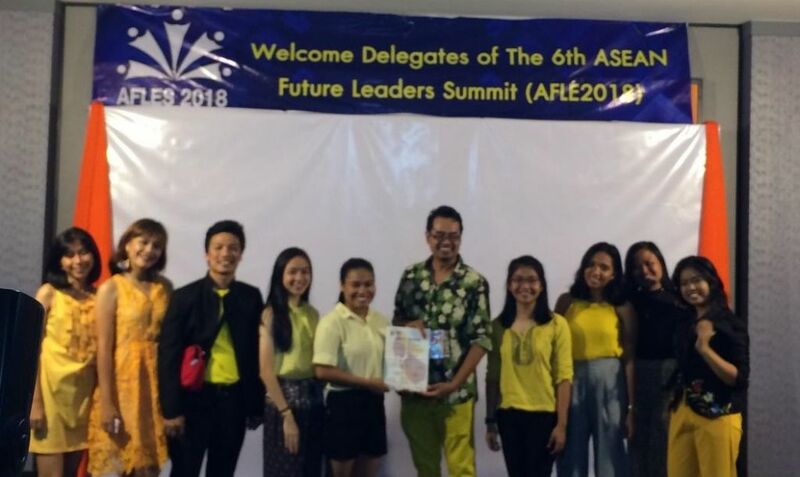 Everything was beyond meaningful.” This is how Mr. Rolly James Cheng, a University of the Philippines Open University (UPOU) PhD student described his experience as he attended the 6th ASEAN Future Leaders Summit (AFLES) held from 22 July – 3 August 2018 at Malaysia and Southern Thailand. The summit, attended by 200 delegates from 10 ASEAN countries, aims to bring together potential student leaders and participants from among the leading universities in the ASEAN region. It is an avenue in developing leadership capabilities and discussing perspectives on various critical issues in higher education focusing on ASEAN leadership, Industrial Revolution 4.0 and sustainable development. AFLES 2018 is organized by the Postgraduate Students Association, Universiti Sains Malaysia (PSA-USM) in collaboration with Higher Education Leadership Academy (AKEPT), Prince of Songkla University (PSU) Thailand, Universiti Teknologi Mara (UiTM), Universiti Utara Malaysia (UUM), and Universiti Kebangsaan Malaysia (UKM). (L–R): Mr. Rolly James Cheng (third from left) with the 9 Filipino delegates pose for a shot with Dr. Anees Janee Ali (6th from left), Founder and Advisor, PSA-USM and AFLES 2018. Mr. Cheng is currently enrolled at UPOU’s PhD in Education program with major in Biology Education offered by the Faculty of Education. He remarked that studying at UPOU taught him discipline. “UPOU made me even competent of my field”, he continued. At present, he works as Biology, Chemistry and Research teacher in the Senior High School program of Notre Dame Cotabato in Cotabato City.